For almost as long as the internet has existed, my father has sent a daily message to his mom, my sisters, my brother, and I. Each message begins simply, Good Morning Mom, Girls, and Guy. The messages share the details of his day to day events; a note about the weather, stories of his daily LIRR commute, or tales of the ‘Russian babe’ at the barbershop. What is unique is the way my dad weaves these everyday happenings into special stories which are simultaneously comical and meaningful. When I opened the package that arrived last night, I discovered I’d ordered Sea Lavender. I will I admit that I didn’t actually know what color lavender is, but I thought it was blue. In truth, it’s the color of the sky on the horizon just before sunrise, actually more pink than blue. I wish I’d known this sooner, because not only would I probably not have ordered the shirt, I wouldn’t have described the sky in earlier blogs as ‘salmon’. I was never comfortable using a fish to describe such a beautiful sight. At any rate, I hate sending stuff back and I’m wearing my new lavender shirt as I write. I’m thinking about getting a pinkie ring and maybe some kind of piercing. There were medieval people on the train with me on the way in this morning. Peasants, actually. There was a large, florid faced innkeeper with thinning blond hair sleeping with his chin on his chest and a small, bald palleted monk with a fish face snoring in a single-seated nook reserved for handicapped people. He would jostle back and forth between the walls as the train moved, but he never woke up. His snoring made him sound like he was choking. I took some heat yesterday for my revelation about seeing medieval characters in people’s faces. I guess this might as well be a good time to reveal that I also see animals is some faces. You know, weasels, squirrels, rabbits, horses, sheep, wolves and sometimes, fish. Might as well get it all on the table so we don’t have to deal with it again, right? PS – I think I saw one of the Sheriff of Nottingham’s men on the platform at Hicksville on the way by. Clearly my father had been rereading Pillars of the Earth, again. Hoarfrost! Huh!?! Yep, you heard it right. I know it’s not a word you hear in polite company anymore, but I gotta’ call it the way I see it. There was no sunrise on the platform this morning. Instead, I was surrounded by fog and hoarfrost. If you look it up, you’ll find that ‘hoarfrost’ is defined as “white ice crystals, loosely deposited on the ground or exposed objects, that form on cold clear nights when radiation losses into the open skies cause objects to become colder than the surrounding air”. Hoarfrost. So, why is it that, as I stood in the icy fog waiting for train, I hesitated blurting out, “Hey, look at that there hoarfrost!”? Of course, I knew the answer. It was because, Mary, the little, 4’10” , short-haired woman, who waits for the train with me every morning, would have grabbed me by the ear lobe, dragged me down to the ticket office, and demanded that I have my mouth washed out with soap. I guess ‘hoarfrost‘ is just another victim of guilt by association. Anyway, early yesterday morning, as I was setting myself up to actually accomplish something during the day, I caught a movement from the corner of my eye. I turned to see a very large lady eating a fried egg sandwich on a roll. She had a large Styrofoam resting on the ledge outside my window and she stood facing me as she chomped on her sandwich. Nose to nose, we couldn’t have been much more than three feet apart, but it was apparent that, while she was uncomfortably visible to me, I was not visible to her. I wanted to tell her, “These are not the droids you’re looking for”. Daaaadeeeee, I want a drink of waaaaater. I can still hear the mellifluous call in syncopated unison from the upstairs bedroom of the small Cape Cod in Valley Stream. 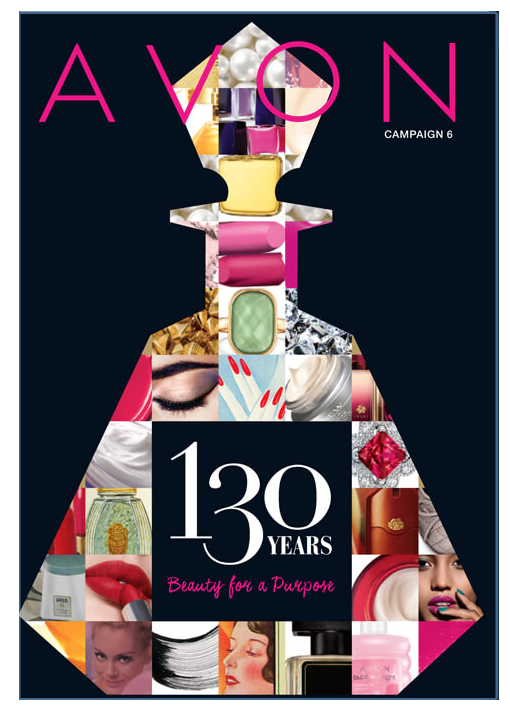 I would dutifully trudge up the single flight of stairs and deliver water to the three little girls who were my life. I’d get my hugs and ‘butterfly kisses’ and leave them to sleep peacefully. I’ve come to understand that the call for water was really a call for security. They needed the peace in knowing I was there for them. I always felt sorry for the times I let myself become annoyed at this evening ritual, but I feel sorrier still that those days are gone. Now, my beautiful little girls are all beautiful brides and will someday gladly carry water to their own children. I hope they sing the way you did. My dad makes me smile everyday. And sometimes we cry too. But these daily messages keep us all connected, no matter how far separated we are. Eventually, the email list for these messages became longer, as my aunts, uncles, and cousins joined in. Soon family friends were on board too. Once the back and forth responses starting overflowing in each of our e-mail inboxes, it was decided that the daily message should be moved to a message board, which is where it sits today. And every Monday through Friday, we all log on to connect with each other. What a beautiful thing! Valentine’s Day is typically a holiday celebrated between significant others, but it is impossible for me to think of Valentine’s Day without thinking about my dad, the man who has been my Valentine for all of my 35 years. My father taught my siblings and I about love and family, in the way he loves us and in the way he continues to hold an unending love for those we lost too soon. It’s always fun to celebrate your sweeties with something sweet and I’m certain this pie would fill your loved ones with coconutty joy! 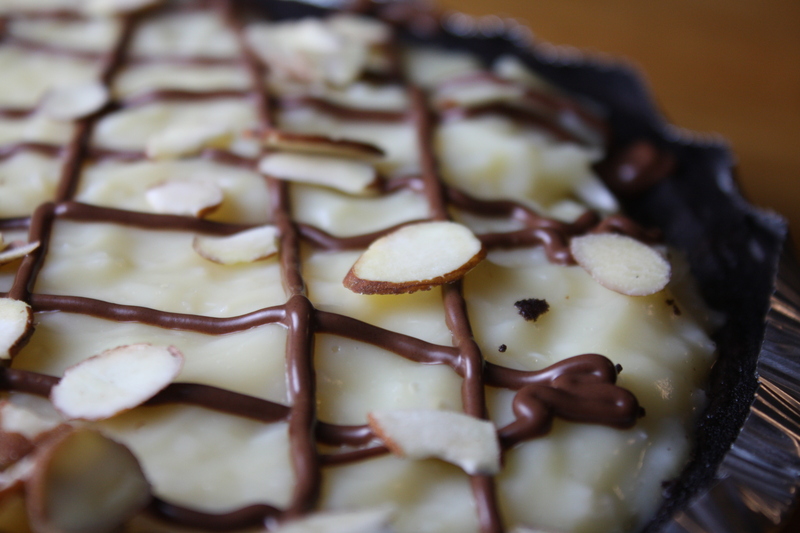 It starts with a homemade chocolate cookie crust, which is then coated in a creamy milk chocolate ganache and sprinkled with a layer of sliced almonds. 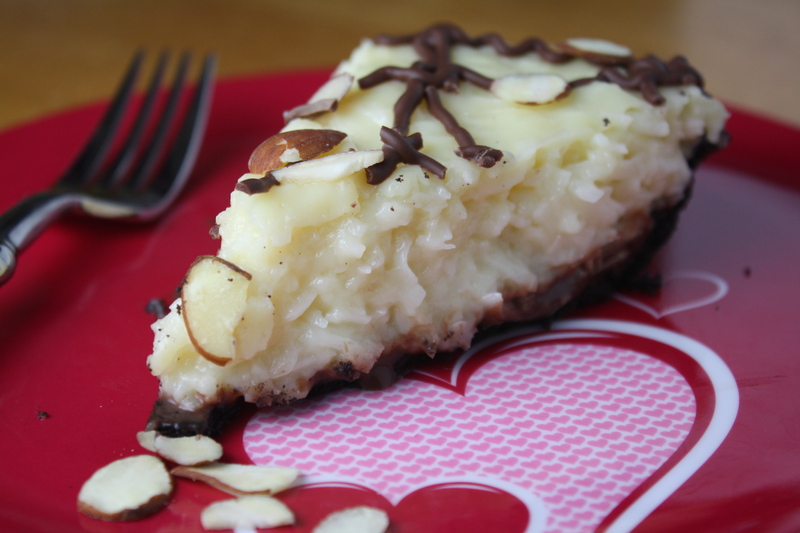 An irresistible coconut custard fills the pie. Skip the box of candy and make this instead…it’ll save all that time and wasted chocolates trying to find the coconut filled ones. To prepare the milk chocolate ganache: Bring the heavy cream just to a boil. Pour the cream over 2/3 cup of the chocolate chips and stir until smooth. The chips should melt by the heat of the cream, but if necessary, microwave the mixture for 10-15 seconds, then continue stirring until smooth. Pour the ganache into the pie shell. 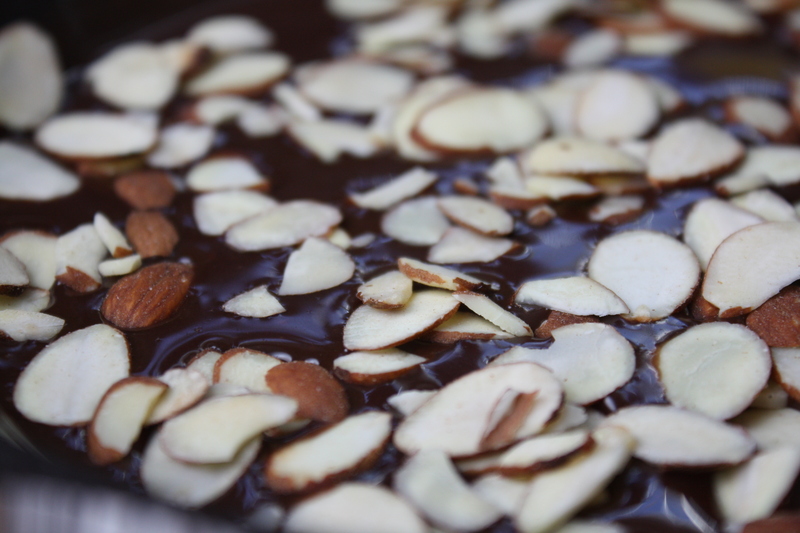 Scatter about half of the sliced almonds over the ganache. Refrigerate to set the ganache. Prepare the custard while the ganache cools. To make the custard: Bring the milk, sugar, vanilla, salt and cornstarch to a simmer over medium heat, whisking frequently so that the sugar and cornstarch dissolve. Once the mixture begins to bubble and thicken (it should only take a few minutes), reduce the heat to low. In a separate bowl, lightly beat the egg yolks. Gradually whisk about 1 cup of the hot milk mixture into the egg yolks, starting with a very slow drizzle to avoid scrambling the eggs. (Gradually incorporating the hot milk into the egg yolks tempers the eggs, allowing them to slowly rise in temperature without scrambling.) Gradually whisk the egg mixture into the remaining hot milk mixture in the pot. Bring to a gentle boil over medium heat, whisking constantly for about 3 minutes, until thickened and smooth. 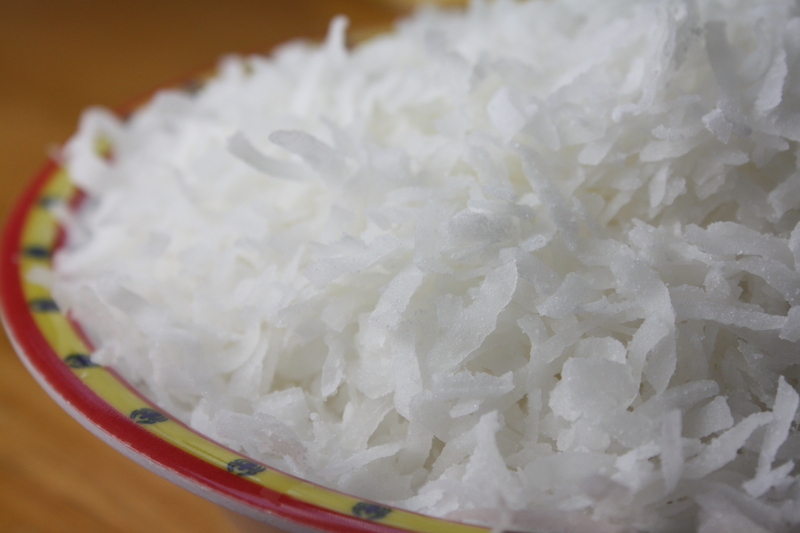 Stir in the shredded coconut. Allow the custard to cool at room temperature, stirring frequently, until it’s just barely warm. Pour the custard over the cooled ganache in the pie crust and refrigerate until the custard is completely cool and set, about 2 hours. Melt the remaining 1/3 cup of chocolate chips in the microwave (a few seconds at a time, stirring often) or over a double boiler. Spoon the melted chocolate into a plastic baggie. Cut off a small tip of one of the corners of the baggie, then drizzle the chocolate over the pie. Garnish with the remaining sliced almonds. Posted in Chocolate, Desserts, Food, Recipes and tagged baking, chocolate, comfort food, Cooking, dad, dessert, Eating, Food, holidays, kids, life, love, parenting, pie, Recipes, stories, valentine's day, weather, writing. Bookmark the permalink. 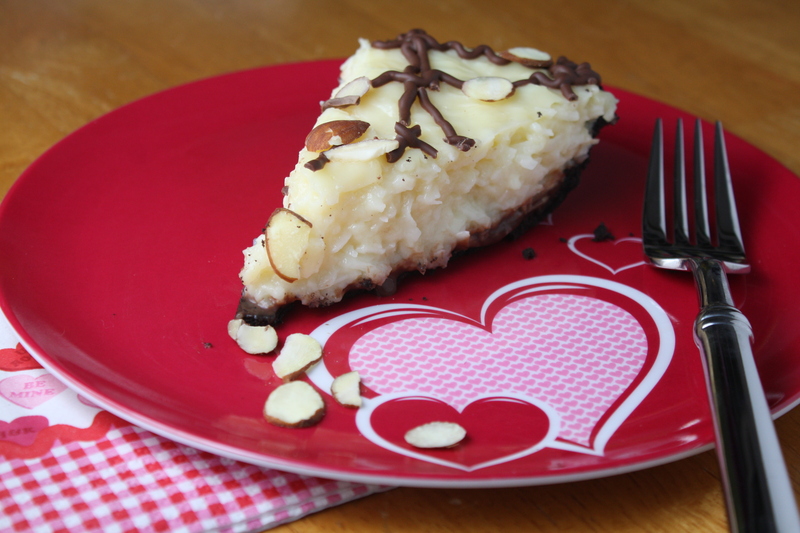 Your almond pie looks delicious! I think it’s wonderful that your dad writes you all the time- I think a lot of people lost that when cell phones and texting and fb came about. Oh my word!! I love coconut!! OhMiGooness… This is AWESOME! I’m already in a happy food coma over here. 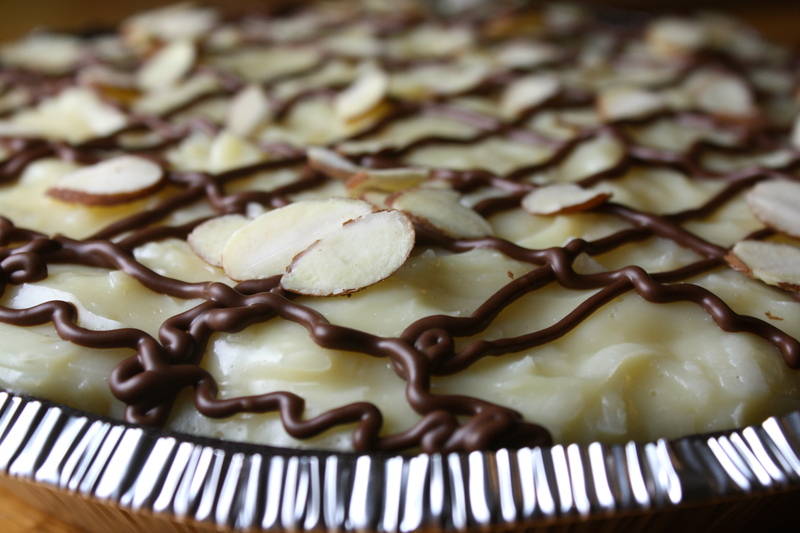 What an amazing looking pie… It is decorated just beautifully! Thanks to you and “Daddo” for sharing his letters. Wonderful post, and the pie looks nice too. Wonderful post indeed. It must be so satisfying and heart warming for your Dad to read it too. Very moving post! I have no idea what recipe you posted, I was so engaged reading about you responding to your Dad’s messages. Wonderfully written! I loved your sentimental thoughts on your father. How cool that is and I appreciate how he is such a great communicator of his love for you! Nice. Ok,,,, where’s the recipe for your lobster pot pie? Did I miss it somewhere? That sounded really great! Just put mine in the fridge, I used 1/2 coconut milk and 1/2 regular, love the column and the recipe!